Florida, “The Sunshine State” of the USA has always been famous for its beaches, hot weather and relaxing holidays. But on the morning of 1st October 1971 Florida added another feather to its cap, when Walt Disney World opened its doors for the first time, to become the largest theme park in the world. It all started in the early 1960’s, almost half a decade after Disneyland opened in Anaheim, California. Disneyland was not big enough to accommodate Mr. Walt Disney’s vision of a dream park, however, it did not take him long to act as he planned the search for the huge land along with his team. They were looking for a huge area of land located near a major city with great weather and infrastructure, but the issue was they also wanted it to be cheap. But the question remained, how? Walt Disney and his team came up with an idea of setting up multiple dummy corporations to trick landlords. Eventually they were able to buy virtually worthless Central Florida swampland to build their dream park near Orlando, Florida. Walt Disney outsmarted everyone to snap up over 27 thousand acres on the cheap, without raising suspicion about his majestic dream park plan. The fire was ignited while accomplishing the almost impossible task of hiding the smoke. After the land acquisition, things couldn’t remain undercover for long as news finally emerged that it was Walt Disney who bought the whole lot. They eventually organized a press conference to confirm the news and reveal their multi-million dollar dream project “Walt Disney World” to rest of the world. Walt Disney along with his army of smart people had crossed the one and most important hurdle of purchasing the enormous land of over 40 square miles relatively cheaper but they knew they had another hurdle waiting before they could see their dream become a reality – the land they had purchased was nothing more than an isolated swampland full of brushwood forests and groves. It was primarily a “floating Florida” central land that they had to transform into one of the most attractive theme parks on the planet. The challenge was not only to transform this land, but Disney had to do it while balancing the environment and ecosystem of the area. Disney took this massive challenge head-on as they first reserved more than 7 thousand acres of land as a Conservation Area, which would never be touched. Second, their engineering genius developed an automated water level control system to manage the network of more than 55 miles of canals to keep water levels in check which required no monitoring and a very little maintenance. All the hurdles were jumped with mammoth effort and eventually the hard work paid off as the Magic Kingdom opened at Walt Disney World along with two hotels, a campsite and an ultramodern monorail to become an integral part of not only Orlando, Florida but also of the memories of millions of families visiting the park. Unfortunately, Walt Disney passed away on the 15th December 1966 at the age of 66 and never lived to see it. Today, with an average of more than 50,000 visitors per day, the “Walt Disney World”, Florida remains the most visited theme park in the world. 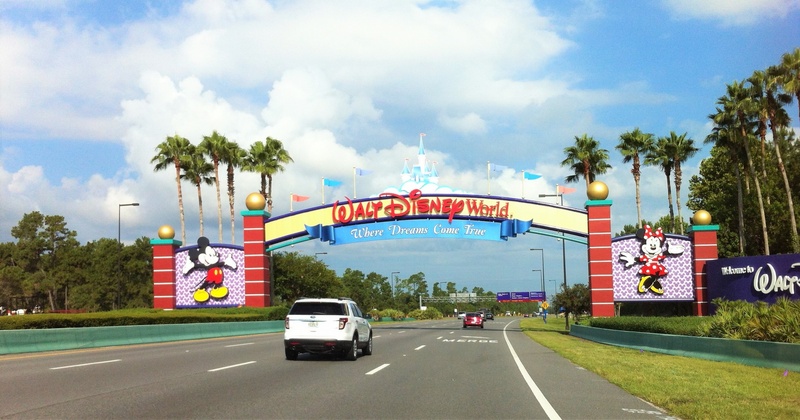 Walt Disney World kept on adding spectacular attractions to mesmerize the world. It will surely continue to excite and entertain millions of people and it all began with simply not settling for ‘good’ and instead creating a vision for the extraordinary.